Using a Demand Letter to Start a Car Accident Settlement | Hupy and Abraham, S.C.
How do car accident insurance settlements start? You might get a call from an insurance adjuster soon after your car crash. Some may consider that the beginning of a car accident settlement, since anything that you say to the insurer may influence your eventual recovery, but that is not how the formal car accident insurance settlement process starts. Details about the accident, including why the other driver is liable for the accident and your injuries. The specific injuries you have suffered. The specific damages that you are seeking as compensation for your injuries. The demand letter may be accompanied by supporting documentation. You should expect to receive a written response to your letter after the insurance company has had time to receive it and consider it. 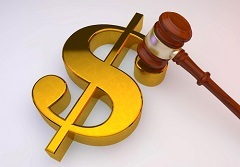 Negotiations will then occur until a settlement is reached or your case goes to court. While the demand letter may begin the official settlement negotiations, things that happen prior to the demand letter could be relevant to your ultimate recovery. Accordingly, it is important to be cautious about talking to insurance adjusters, about putting information on social media, and about foregoing medical treatment, because these things could later hurt your settlement. If you have additional questions about how to settle your own car accident case with an insurance company, then we encourage you to start a live chat with us now.